Your Selfie is a Battleground consists of 32 algorithmically-generated postcards, produced for University of California San Diego's Object Type – the first exhibition in VISUAL ARTS @ 50: ART INTO LIFE, a series of programs celebrating distinguished former UCSD visual arts faculty. 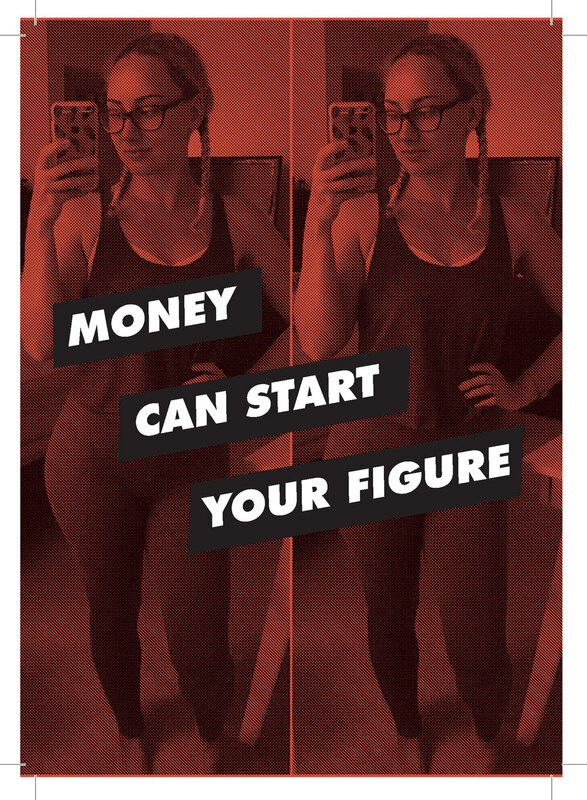 The piece is a response to both Lev Manovich and Barbara Kruger; it explores the commodification of identity that emerges within the quantified self movement. 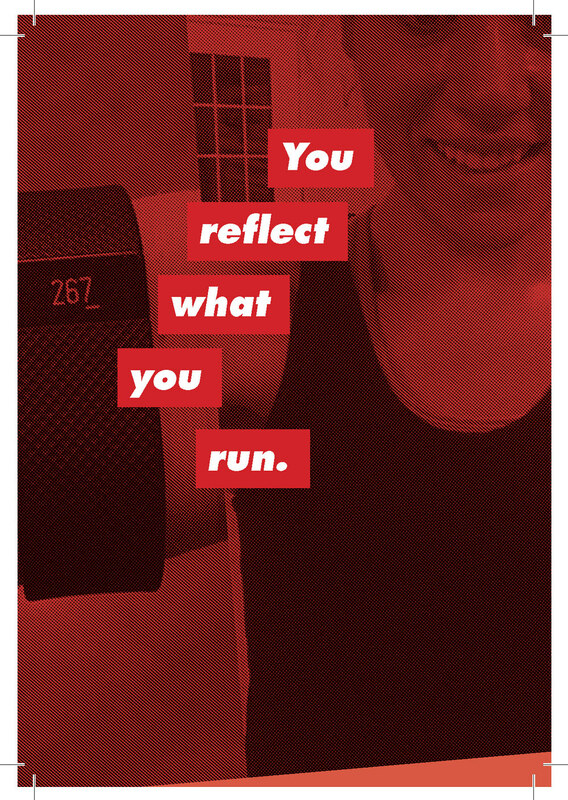 The cards feature algorithmically-modified Kruger-isms paired with selfies tagged with #fitbit. 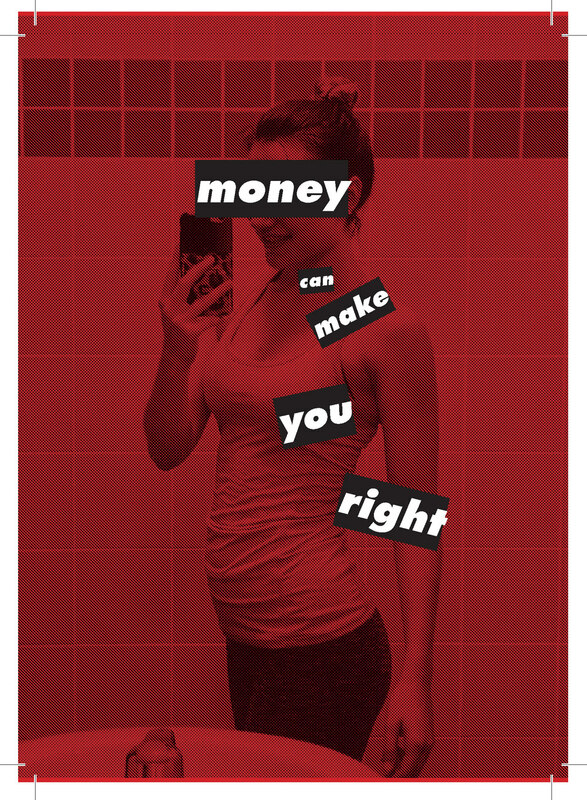 "Conceptual artist Barbara Kruger (b. 1945) refined her signature style during the early 1980s, employing cropped, large-scale, black-and-white photographic images juxtaposed with loud, aphoristic, and often ironic aphorisms, printed in Futura Bold typeface against black, white, or deep red text bars. The inclusion of personal pronouns in works like Untitled (Your Gaze Hits the Side of My Face) (1981) and Untitled (I Shop Therefore I Am) (1987) implicates viewers by confounding any clear notion of who is speaking. Digital guru Lev Manovich (b. 1960) founded Software Studies Initiative in 2007 when he was teaching at UC San Diego, using tools from computer science, media design, and digital art to study massive cultural data sets. The lab is developing Cultural Analytics: computational analysis and visualization of massive cultural visual datasets in the humanities. Through efforts, he places new media within the histories of visual and media cultures of the last few centuries. 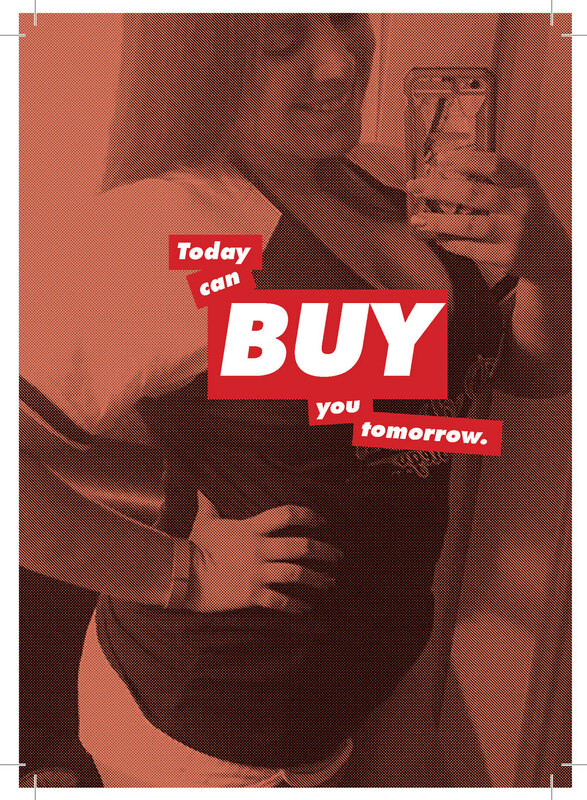 In Your Selfie is a Battleground (2016) by artists Gabi Schaffzin, Zach Kaiser, and Sofie Hodara, female identity is utilized to highlight the commodifying and quantifying nature of commercialized social spaces. 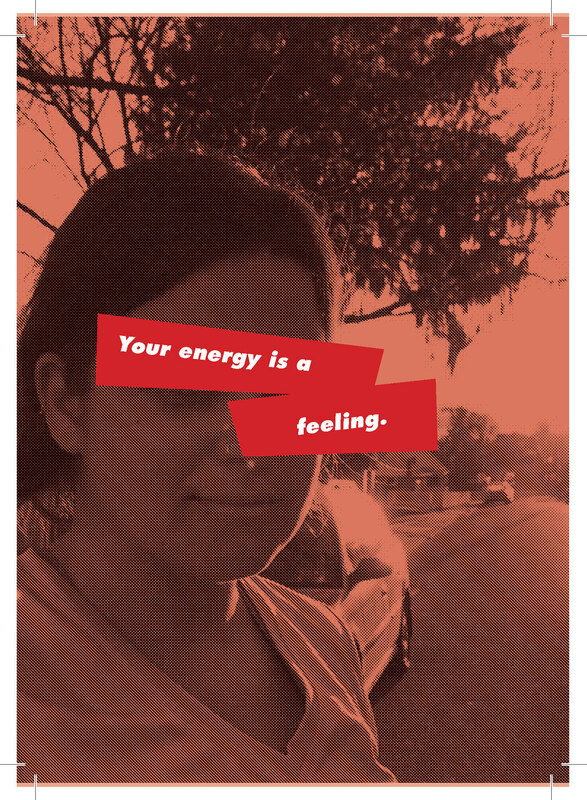 In homage to Barbara Kruger and Lev Manovich, the artists curate 360 Instagram selfies tagged with “#fitbit” (or similar “quantified-self” brands) taken by women in a gym or athletic setting. Overlaying these images are words culled from a much larger pool of similarly tagged posts and compiled into poetic statements which refer to Kruger’s trademark phrases. The final output is produced in a style that combined Kruger’s aesthetic with Manovich’s medium: a large grid of postcards with black and white half-toned images under red, black, and or white text and shapes. 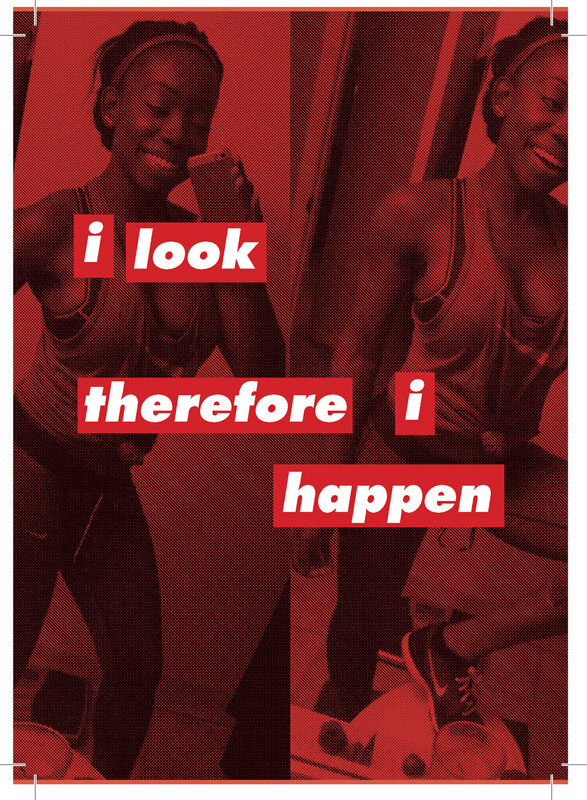 By covering the wall with Instagram photos related to fitness tracking and quantification, the artists place the selfie directly under the same scrutiny Kruger wishes her viewers to use in examining their relationship to commercial visual culture. The algorithms generate overlay text that is at once familiar and incongruent, using Manovich’s “language of new media.” The gridded presentation allows the artists to mimic Manovich’s high-area data visualizations, often filling millions of pixels. Further, both Kruger and Manovich emphasize the importance of appropriation and mashup—something the artists are accomplishing here both in the resulting output and by pointing to the two of them together with one project. Gabi Schaffzin, Zach Kaiser, and Sofie Hodara routinely collaborate on multi-media works of art that exist in the liminal spaces between the Web and gallery. Their works promote critical discourse by exploring the relationship between contemporary digital systems and culture. The primary driver of Schaffzin’s art and research is a concern over the way that the forces acting upon our technologically mediated world shape our subjectivity, especially in the contexts of algorithmic inference, the privileging of data over discourse."